Today's data centers are struggling to support exponentially growing data, storage and power demands, often compromising performance and overstretching IT budgets. To keep up with rising business needs, many organizations are turning to scale-out-storage, an architecture that fosters a flexible environment to cost-effectively support data growth. 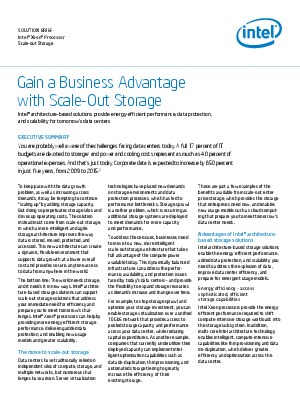 Read this white paper to learn how this approach can provide energy-efficient performance, data protection and scalability for your advanced data center.